The miter joint is a wooden joint that is adjusted at 45 degree angles. This does not occur too often in violin building. One sees this most often when reconstructing historical instruments. 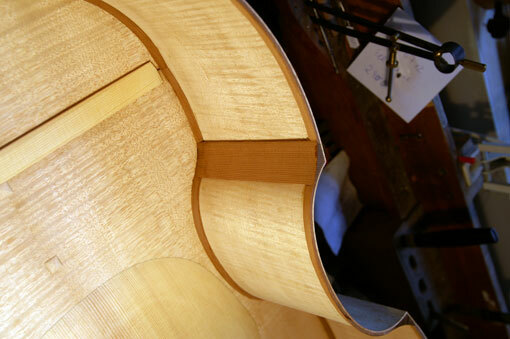 The middle blocks of the Viole da gamba, for instance, are cut and joined with a miter joint.